Hormones can cause hair growth as well as its loss. Balancing hormones and diet can negate edverse effects of hair loss. Adding synthetic hormones can further exacerbate the hair fall. Physical activity promotes circulation of key nutrients to hair follicles. As one might imagine, hormones not only stimulate hair growth but also hair loss. Understanding the interplay between your hormonal balance and diet can help prevent the most distressing aspects of hair loss. Hair loss in females is caused by combination of androgen dihydrotestosterone (DHT) in abundance and having hair follicles that have more androgen receptors for DHT. While there is a genetic component to this issue, you can do a lot to support your body's ability to process hormones efficiently. Hair follicles are very responsive to hormonal changes and imbalances in the body. The good news is that a lot of hair loss issue/s is temporary and resolves itself after the body has regained its equilibrium. Hormonal Birth Control- Women who have hair loss issues, especially, if there is a genetic predisposition to them, can have hair loss at a much younger age by taking birth control pills. Usually, hair will regrow after six months of ceasing hormonal birth control. Polycystic Ovarian Syndrome (PCOS)- Women with this condition suffer from a variety of possible symptoms, one of which can be hair loss. It is best to address the complexity of this hormone imbalance through holistic means. Pregnancy/Childbirth– As already mentioned, some women experience major shifts in their hair due to hormone fluctuations. This may mean curlier or straighter hair than normal, thicker hair and often hair loss. Some women experience these changes during pregnancy while other women experience it after pregnancy. Either way, in most cases, it resolves itself completely. Thyroid Disease- Both an overactive thyroid and an underactive thyroid can cause hair loss. Thyroid imbalances can be diagnosed by your physician laboratory testing. These imbalances are completely treatable through holistic means. Deficient diet- With so many fad diets and extreme "detox" plans in the market, it's very easy for women to inadvertently affect their hair's texture and thickness. Often, an extreme shift in diet, particularly a low protein diet, extreme calorie restriction or a predominately junk-food vegetarian diet may cause protein deficiency that results in massive amount of hair shedding that often last for two or three months after the shift in diet. By restoring a proper balance to your diet, the hair loss can be reversed. Medications- Prescription drugs that treat anxiety and depression as well as blood pressure may cause temporary hair shedding in a small percentage of people. It's important for women to know this as a lot of women opt for mood-stabilizing drugs when they feel at a loss in facing major life transitions. Most of the mood stabilizers and antidepressant drugs can cause this side effect. Low Serum Iron- Iron deficiency can cause hair loss. Women with heavy or excessively frequent menstrual periods may develop iron deficiency. Low iron can be detected by laboratory tests and be corrected with iron supplementation. 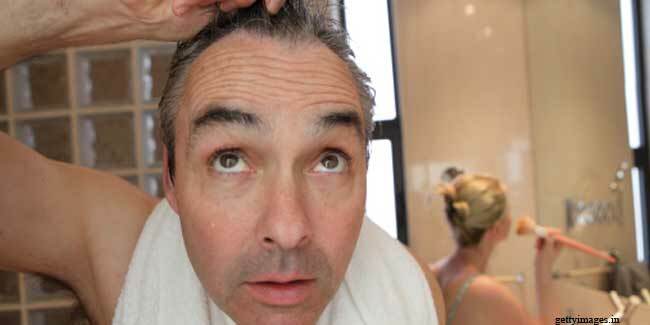 Stress- Stress is, for some, an interesting factor in hair loss. Many women deal with chronic low grade stress and depending on their genetic predisposition, this kind of stress can trigger earlier onset of androgenic hair loss. To prevent hair loss, avoid taking birth control pills or antidepressants if you don't absolutely have to. Even if you think you do, seek another opinion and alternative. If you are hormonally sensitive, adding synthetic hormones can further exacerbate the issue. Furthermore, it's very critical to maintain a healthy diet - avoid fad diets, extreme detox programs or experimenting with vegetarianism without guidance. Physical activity is another fantastic preventative; it serves double duty both in promoting circulation of key nutrients to hair follicles and in mitigating the hair compromising effects of the stress hormones on your body.